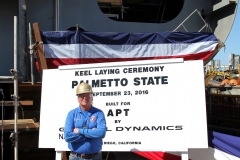 SAN DIEGO – On Friday, September 23, General Dynamics NASSCO hosted a keel laying ceremony for the Palmetto State, the eighth ship in an eight-ship ECO Class tanker program for two separate customers. NASSCO employee and Master Shipbuilder Bill Johnson laid the keel for the ship by welding his initials onto a steel plate and affixing it to the ship’s inner structure. 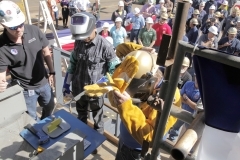 Johnson began his career at NASSCO nearly 50 years ago as a welder and currently holds the position of General Supervisor. During this time, he worked on 110 ships and served as the leading General Foreman for 50 of them. 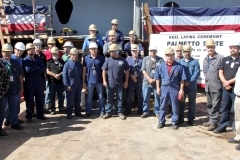 The honor of Master Shipbuilder is attained after an individual reaches 40 years of service building ships. Johnson is also a veteran of the U.S. Army. 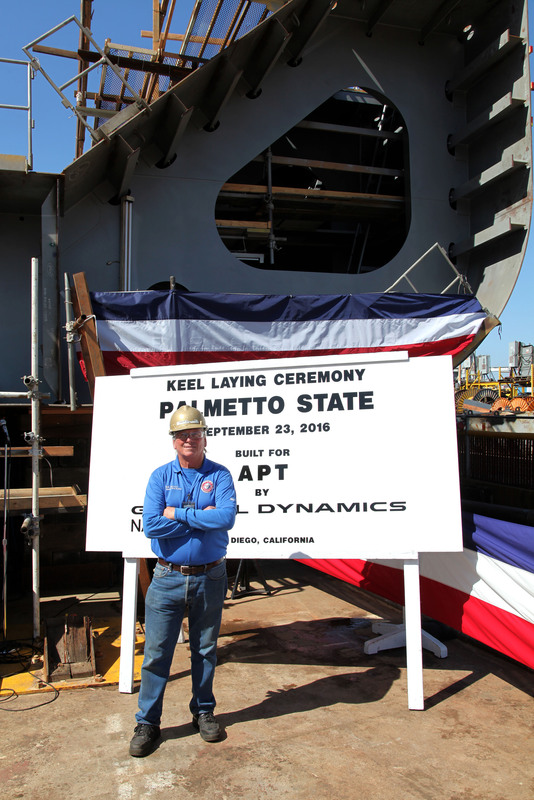 The Palmetto State is the eighth ship to be constructed as part of an eight-ship ECO Class tanker program for two customers: American Petroleum Tankers and SEA-Vista LLC. The first five ships of the program have been delivered and are currently servicing the Jones Act trade. The remaining three ships are under construction with delivery dates scheduled for the near future. 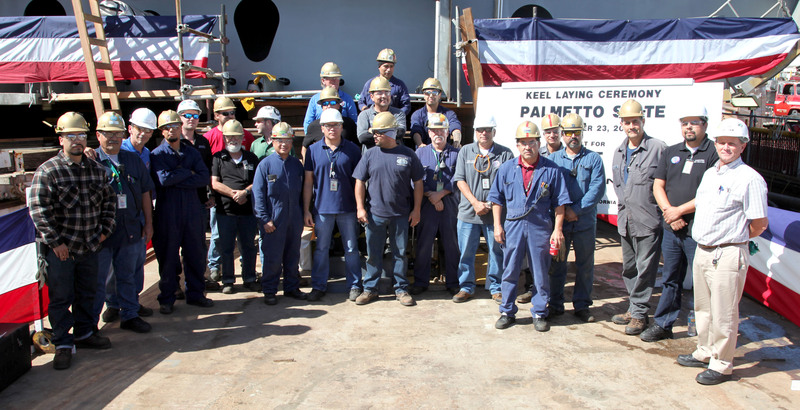 The Palmetto State is scheduled to be delivered to American Petroleum Tankers in 2017. 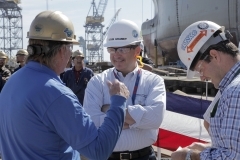 Each ship of the ECO Class program is a 610-foot-long, 50,000 deadweight-ton, LNG-conversion-ready product tanker with a 330,000 barrel cargo capacity. 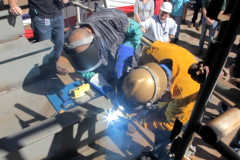 The new ECO Class design represents the emerging direction of the shipping industry in the U.S. toward cleaner, more fuel-efficient modes of transporting product. The construction and operation of the new ECO Class tankers are aligned with the Jones Act, requiring that ships carrying cargo between U.S. ports be built in U.S. shipyards. 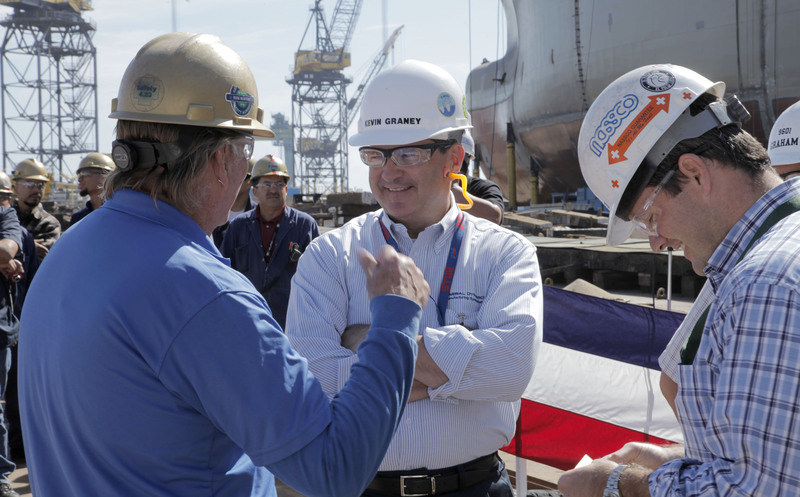 The Jones Act is responsible for more than 500,000 good-paying jobs around the country and supports American shipyards, such as NASSCO.